Practice gifs to practice how my webcomic format will be set up. Also a stream of consciousness boarding exercise since it's late. Yahhh. Enjoy! Weird late night sketch from my old webcomic idea, Clean Sweep (any of y'all remember that?) I'm planning on restarting it and drawing it in storyboard form and presenting it in an animatic. Mainly for convenience, but also for storyboarding practice. Anyway, weird drawing is weird. 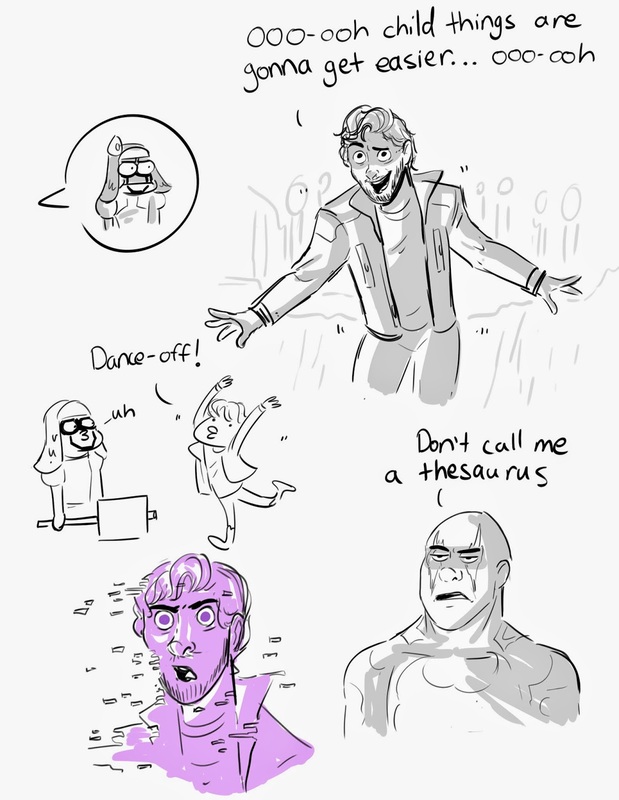 Because sometimes you just need to fanart. 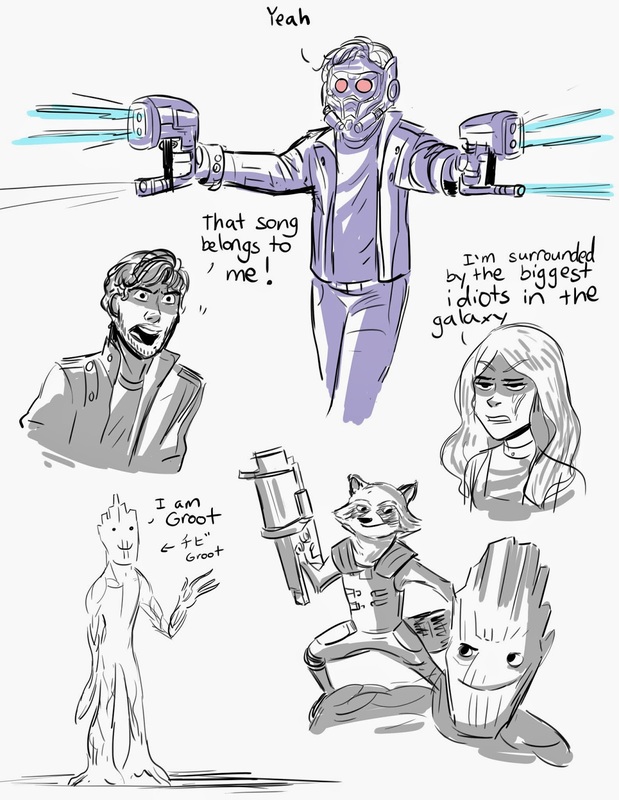 I'm obsessed with Guardians of the Galaxy and I really want to see it again. Such a good movie! Enjoy! 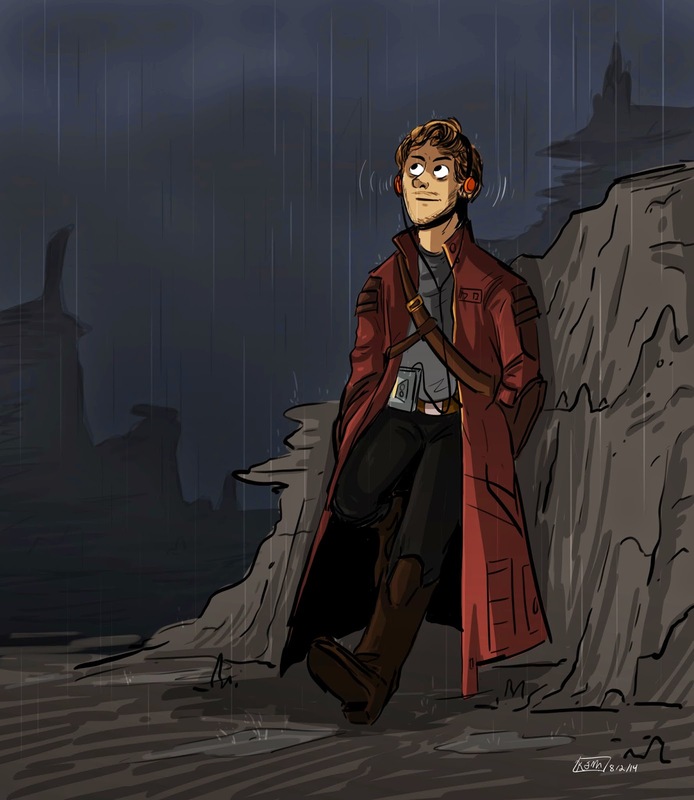 Guardians of the Galaxy fanart for y'all of Star-Lord. Seriously, this is now one of my fave Marvel movies, and it's definitely one of the funnier Marvel moves in a long time. Great characters, action, heart :) Go see it!